That's all from the Business Live for this week. Please join us again on Monday from 06:00. US stock indexes have closed lower ahead of earnings next week from big US banks including Citigroup and JPMorgan, breaking a five-session rally. The Dow Jones Industrial Average fell 5.97 points, or 0.02%, to 23,995.95, the S&P 500 lost 0.38 points, or 0.01% to 2,596.26 and the Nasdaq Composite dropped 14.59 points, or 0.21%, to 6,971.48. President Donald Trump has just said he would not declare a national emergency for now as a way of securing funds for a border wall and ending a partial government shutdown, adding that he would rather see the US Congress act. "We want Congress to do its job," Trump said during a White House event on border security, adding that Democratic lawmakers "should come back and vote." "What we're not looking to do right now is national emergency," the Republican president said. Danske Bank, which is embroiled in a €200bn money-laundering scandal involving its Estonian branch, has revealed that it has been summoned by French authorities to interviews in an ongoing investigation into organised money laundering. The bank was formally investigated by a Paris court in 2017 over suspicions of money laundering concerning transactions at its Estonian branch between 2008 and 2011, but in January 2018, the court changed Danske's status to "assisted witness". International financier Bill Browder, who founded Russia's most successful hedge fund, Hermitage Capital Management, held a press conference in Copenhagen on Thursday, where he said he had asked France to resume its investigation of Danske Bank, rather than treating it as a witness. Mr Browder was in Denmark discussing evidence of money laundering at Danske Bank and Nordea Bank with the Danish State Prosecutor. Internet-based business communication platform Slack Technologies is "seriously" considering making its stock exchange debut through a direct listing, Reuters reports. A direct listing is where a company sells shares directly to investors without intermediaries when floating on a stock market. Venture capital firms that have invested in Slack are "looking for an exit and with the rapid growth of [competitor] Microsoft Teams, they want out fast. The direct listing provides the VCs with a quick exit," Daniel Lugasi of VL Capital Management told Reuters. The NI secretary says she believes a no-deal Brexit could put UK constitutional arrangements in jeopardy. US stocks are edging lower, as investors take profits after a five-day rally, and ahead of earning releases next week. The rally came after hopes of a China-US trade deal, strong jobs data and placatory Federal Reserve views, added 6% to the S&P 500 and lifted it by about 10% from the 20-month low it fell to around Christmas. The Dow Jones Industrial Average was down 98.41 points at 23,903.51, the S&P 500 was down 9.31 points at 2,587.33 and the Nasdaq Composite was down 40.01 points at 6,946.06. Ford has told trade unions that a thousand jobs are at risk at its engine plant in Bridgend in South Wales, as part of a major overhaul of its operations in Europe. A further 150 posts may go in its transport division. The news comes a day after Jaguar Land Rover said it would cut 4,500 jobs, most of them in the UK. Ford's Bridgend plant is facing a bleak future. It needs to attract new work, but insiders say in the climate of uncertainty created by Brexit, that is looking like an uphill struggle. It currently has two major production lines, building small petrol engines for use in its own cars and larger ones on behalf of Jaguar Land Rover. But both programmes are due to end within the next two years. The factory has begun making a brand new engine design for use in small cars, but it will only be built in relatively limited quantities, leaving a large amount of surplus capacity. The company has now told union representatives that as part of a major restructuring of its European operations, it plans to cut a thousand jobs at the factory, which currently employs 17 hundred people. The proposed cuts are expected to take place in two stages over the next two years. The union Unite said they would come as a devastating blow for its members and their families, with grave implications for the Welsh economy and the supply chain. The news comes at a time when the car industry in Europe as a whole is under pressure due to falling sales, declining demand for diesel and a slowdown in China, one of its key export markets. Several Chinese electronics retailers including Alibaba-backed Suning and JD.com have cut iPhone prices this week, after Apple recently blamed poor sales of the smartphone in the country for a rare revenue warning. The discounting, as steep as $118 for the recently launched 64GB iPhone XR, is the latest sign that Apple’s weak holiday sales in China may have extended into the current quarter. 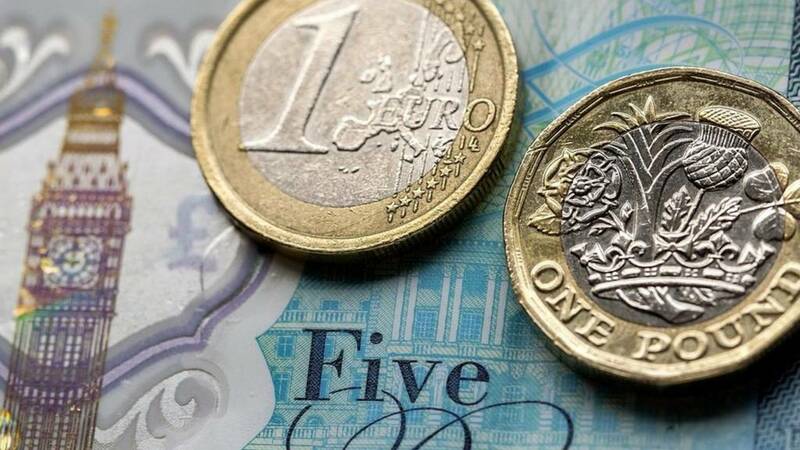 The pound is continuing to rise against the dollar and the euro after an Evening Standard report earlier citing government ministers saying Brexit is increasingly likely to be delayed. The rationale is that there is a backlog of at least six Bills that have to be passed before Brexit, and not enough time to do that, the newspaper says. 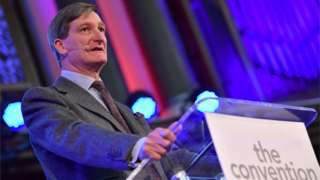 Tory rebel Dominic Grieve says the PM should strike 29 March as Brexit day from UK law if her deal is voted down. Energy market regulator Ofgem has appointed Ovo Energy to take on supplying Economy Energy’s 235,000 domestic customers. "Ovo Energy is offering Economy Energy’s customers a competitive tariff and will honour all outstanding credit balances, including money owed to both existing and former customers of Economy Energy," the regulator said in a statement. Economy Energy collapsed last week. A major restructuring plan launched by Ford of Europe could lead to the loss of 1,000 jobs at the company's engine plant in Bridgend within the next two years. The plant currently employs 1700 people, but it is due to lose a major contract providing engines for Jaguar Land Rover in 2020 - while production of another engine made at the plant is also winding down. Last year, Bridgend did begin building a new small engine, a programme in which the manufacturer has invested some £100m, but that is not expected to use more than a quarter of the plant's capacity. Sources say that the job losses are very likely unless the factory is able to attract further work. Ford would not comment on the figures. It said it would provide the full details of its restructuring plans once negotiations with unions and other stakeholders were complete. It said its focus included those markets where it had the majority of its employees and operations, including Germany and the UK. Last year it emerged that the chemicals firm Ineos was in talks with Ford over using the plant to build a new off-road vehicle. US carmaker Ford plans to cut 1,150 jobs in Britain, the Unite union says, with nearly 1,000 job losses at its Bridgend engine plant in Wales. On Thursday, Ford said it will cut thousands of jobs, look at plant closures and discontinue loss-making vehicle lines as part of a turnaround effort, and would start consultations with unions on the plans. "Unite is fully committed to opposing any compulsory redundancies and campaigning strongly for Bridgend to have a viable future," Des Quinn of Unite said. General Motors has given a strong earnings forecast for 2019 driven by its revamped and highly-profitable pickup truck lineup. GM said it expects 2019 adjusted earnings per share in the range of $6.50 to $7.00, above the $5.86 expected by analysts. This outlook sent the US carmaker's shares up 8%. GM said that despite an industry wide decline in US passenger car sales, the overall market would remain resilient in 2019. The FTSE 100 is being pushed lower as sterling rallies following a newspaper report citing cabinet ministers saying Britain would have to delay its exit from the European Union. The report in the Evening Standard pushed sterling up against the dollar and euro, dragging the exporter-heavy FTSE 100 off earlier highs and down. US stocks fell at the open after rallying for the past five sessions as investors bet on a resolution in the US-China trade dispute and after assurances from the Federal Reserve that it would be patient on interest rate hikes. The Dow Jones Industrial Average fell 61.91 points to 23,940.01. The S&P 500 opened lower by 8.53 points at 2,588.11. The Nasdaq Composite dropped 38.61 points to 6,947.46. Nissan has widened its investigation into ousted chairman Carlos Ghosn to include dealings that took place in the US, India and Latin America, Reuters reports. In one aspect of the internal probe, company investigators are looking into decisions made in the US by Jose Munoz, who led Nissan's North American operations from 2014 to 2018, and currently heads Nissan's China operations. Mr Munoz was recently placed on a leave of absence due to the probe. Some of the questions put to Mr Munoz relate to dealer franchise rights. Other questions relate to contracts with parts suppliers and service providers that Mr Munoz approved when he was in charge of Nissan's US operations, Reuters added. Mr Munoz, who is seen within the industry as being close to Mr Ghosn, is not cooperating with the investigation, the news agency said.